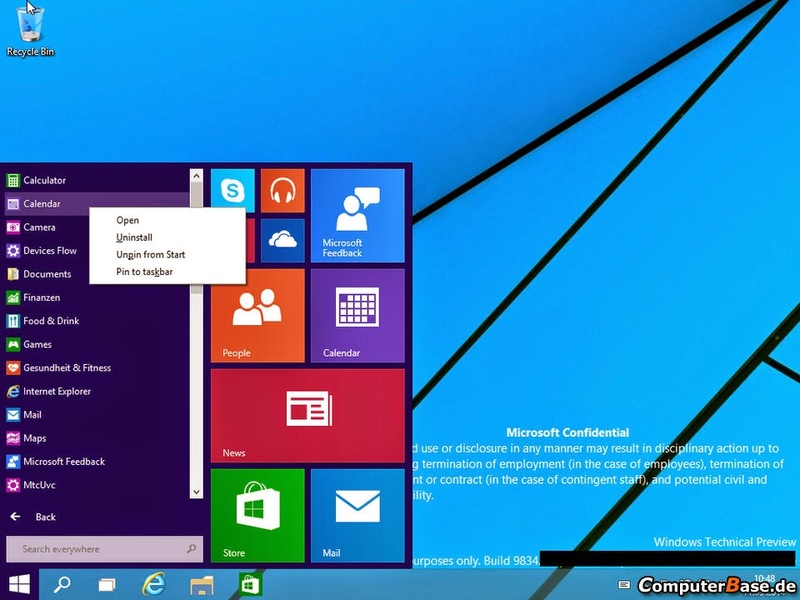 ComputerBase and WinFuture, the two German websites leaked some screenshots of what appears to be an early build of Windows 9. Marc Newson will join Apple's Senior Vice President of design Jony Ive's team according to reports. Sony has launched its new smartphone, Xperia Z3, and its compact version, Xperia Z3 Compact, ahead of IFA 2014. 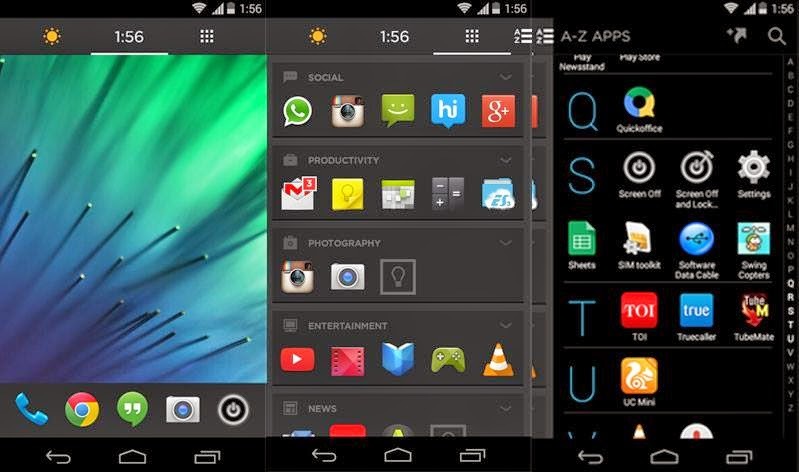 It will run on Android 4.4 KitKat with Sony's custom UI running on top. 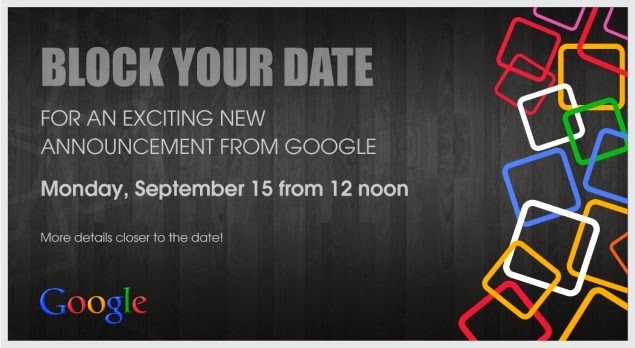 Will Google Announce The Android One Smartphones On September 15? Google has announced that it will hold an event in India and it is most likely that they will reveal the details on their most anticipated Android One program. 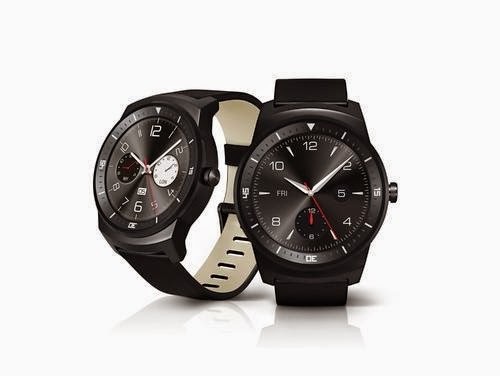 After teasing a video and a poster for a round faced smartwatch , LG has officially pulled the wraps off the LG G Watch R, a direct competitor to Motorola's Moto 360. According to Yahoo's recent Aviata data, The average number of apps that Android users have on their phone sums up to 95 but only 35 of them being used on a daily basis. The data suggested that many of the apps were time oriented such as the transportation apps being used from 8 am - 5 pm, the normal time to commute. Angel Di Maria who joined Real Madrid from Benfica for £36m in 2010 has been transferred to Manchester United for a staggering £60m. Hero Motocorp had a split from Honda a few years back but the after effects were there to stay as Hero could not repeat the success of its new automotives released thereafter. But all that might change. 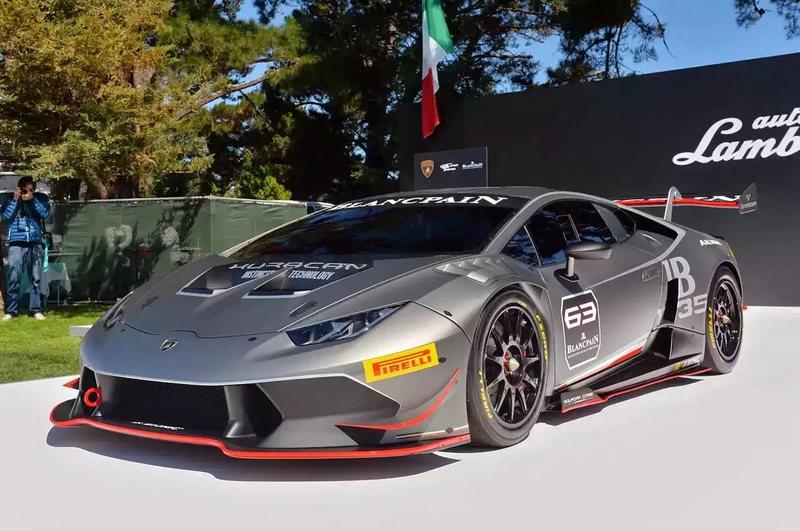 The Lamborgini Huracàn LP 620-2 Super Trofeo, the company's latest race car based on its new Huracàn road-going sports supercar debuted last week at the Quail Festivities. HTC have released another superb way of marketing their flagship phone. 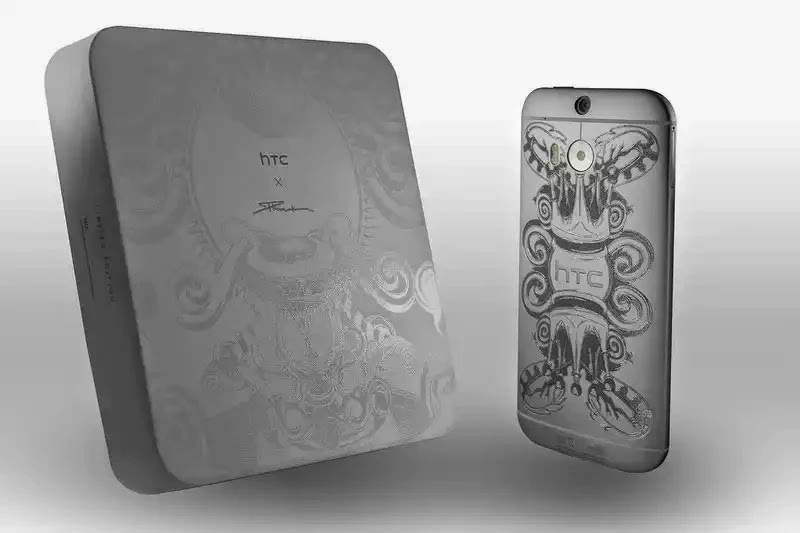 The HTC One (M8) has got a makeover with a new limited edition model in partnership with Singapore's Phunk design studio. But here comes the catch as this will be a purely limited edition phone with only 64 smartphones being made. HTC boasts that they have worked collectively with the Phunk collective to integrate their interpretation of the 'Wonderment' theme into the new handset. Don't expect the smartphone to be anything near the price of the original M8, given the number of units the studio are producing. iPhone 6 Images Leaked, AGAIN!!! The smartphone industry can't get enough of those iPhone leaks with the latest one coming straight out of the retail box. The leaked image is right in line with all the leaks floating around the web since last couple of months. The photo taken by an Apple beta tester seem to be authentic but you better take this information with a grain of salt. With the abundant amount of leaks almost every week, we wonder if people would be still excited about the smartphone's launch. Anyways iPhone 6 is rumored to release on 9th September. ICC Chairman N Srinivasan has confirmed that the ICC World T20, ICC Champions Trophy and the ICC Cricket World Cup to be held in 2016, 2021 and 2023 respectively will be held exclusively in India. This seems to be an ecstatic news for all the cricket lovers in India as they will get to witness 3 world tournaments in just a span of 8 years. In the past, India used to get one ICC event in 16-18 years. We had the 2011 World Cup in India after 15 years and that we had to share with other countries. Now three events will happen in eight years and that is very significant. ", Srinivasan told The Times Of India. 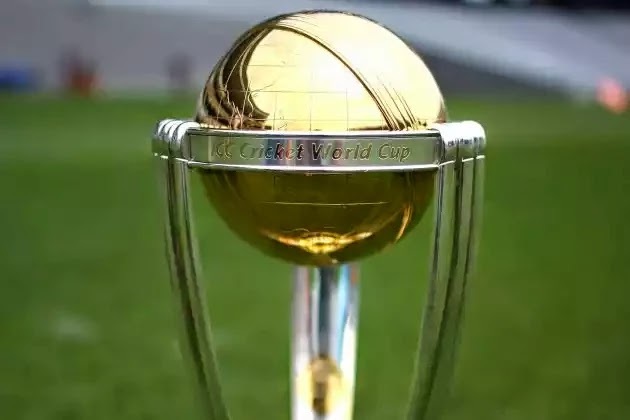 The 2023 World Cup will be the first instance where India will be the only hosts as the 1987, 1996 and 2011 World Cups were held in India along with Pakistan, Sri Lanka and Bangladesh. Jony Ive might have some new tricks up his sleeve on how to make the iPhone more "prettier". The new patent titled “Electronic Device With Camera Flash Structures,” describes a device where the “camera flash may be located under a speaker port mesh,” Apple said in the filing. We have already seen the launch of the most awaited Android Wear based smartwatch but that doesn't mean the leaks won't stop coming in for Motorola's first smartwatch. 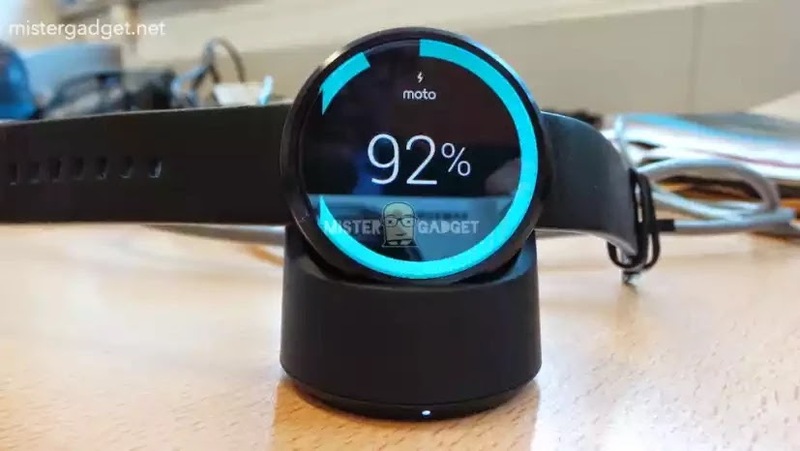 The Moto 360 which is set to go on sale in August or September might feature a wireless Qi Wireless charging capability. The image sourced from the Italian blog, Mister Gadget shows the smartwatch sitting on a small dock and reportedly charging via Qi. Take this news with a pinch of salt as Motorola's chief executive has announced that they are working on a 'secret' method of charging the device. Motorola created ripples throughout the smartphone industry when they released the Moto G at an extremely affordable price. With the launch of Xiaomi Mi3 and Asus Zenfones have somewhat hampered the sales of the smartphone, Motorola might have thought of outing a successor to its most successful smartphone if the benchmark results are to be believed. There is no improvement in the specifications category though, the only notable difference being an increase in screen size to 5 inches and the camera to 8 megapixels along with the secondary one at 1.3 megapixels. 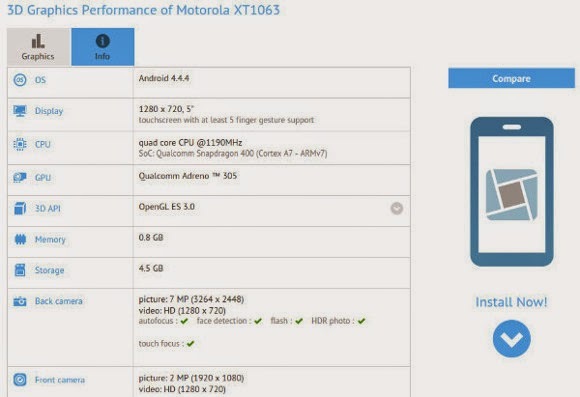 These minor changes might indicate that Motorola is readying their smartphone alongside the Moto X+1. With only such minor changes would you prefer buying the Moto G or would you go for another alternative? "It has been reported that David Cubitt will play the meaty role of Mark Shaw aka Manhunter who is closely associated with Diggle. With this the 'Medium' star joins a slew of additions made to the DC Comic franchise alongwith Brandon Routh (Ray Palmer/Atom) , J. R. Ramirez (Wildcat), Charlotte Ross (Felicity's Mother), Karl Yune (Maseo), Deven Aoki(Katana) and Peter Starmore (New Count Vertigo). Mark Shaw is expected to appear in the third episode in the CW comic book drama." MacBook Pro 2014 Release Date Soon!!! "The upcoming release date of this year's MacBook Pro may come very soon as Apple slashed prices and refreshed the current models of the MacBook Pro line.The 15-inch model with 2.5 GHz quad-core Intel Core i7 processor, 16GB of memory, 512GB of flash storage and dual graphics cards now costs $2,499 and is also $100 less than its original tag price." Is ‪Google‬ Not Done With ‪Motorola‬ Yet? "Google parted ways with one of its biggest acquisitions, Motorola, a few months back but that has not detered the company to sever all ties with them. According to a grapevine, Google is working on a device in collaboration with Motorola by the codename Shamu. It is well known that Google has a renowned Nexus line to its name and working with Motorola fuels the rumors for a future Nexus 6 ‪smartphone‬ with its former subsidiary. According to the ‪Android‬ Police report, the Shamu is a device with a 5.9 inch display and a fingerprint sensor. With this the ‪Nexus‬ fans will have a sigh of relief as this puts an end to the various ‪‎rumors‬ of Google axing the Nexus line in favor of the Android Silver program." " With a beautiful encasing which many flagships envy, HTC pulled out a blinder with its One successor the M8. The aluminum body won millions of hearts the world over and now HTC is touting to bring Windows Phone 8.1 to its prestigious gadget. If the rumors are to be believed the phone is touted to house the same internals as its Android sibling along with those good looks. The phone is most likely to be revealed on August 19." Ducati Superleggera: The Best Superbike Of All? Samsung To Release A New Series Of Smartphones? Copyright © 2014 All Rights Reserved by TekSea. Powered by Blogger.